Join us for a night of music and fun as we raise money for Alzheimer’s TN! Prizes will be awarded for those who raise the most money! You can raise money beforehand, and also pass a bucket at the event! 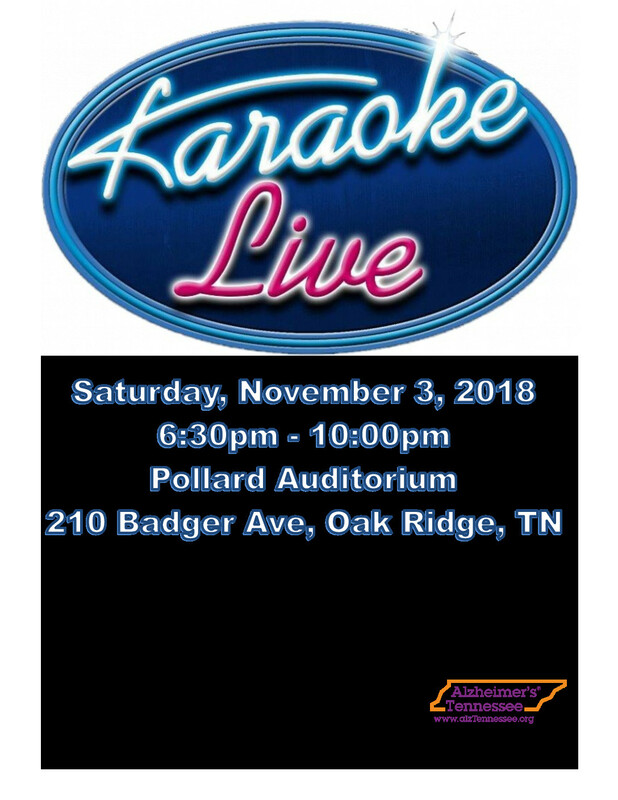 Songs are $5 each (plus $2 for each additional person performing). Food truck, drinks and desserts will be available! Bring family and friends and enjoy the show!